Key Difference: iPhone 6S Plus is the larger model of the iPhone 6S and comes with a 5.5 inch LED IPS display and a pixel density of 401 ppi. The Galaxy Edge Plus comes with one of a kind curved display that spills over the sides for easy access and a more realistic display. Galaxy S6 Edge Plus comes with a large 5.7 inch QHD Super Amoled Screen and a whopping 518 ppi density. The way the technology is increasing, the day is not far when phones are small enough to fit under our skin or show holographic images like they show in the movies. Phone companies are constantly launching new phones with better technologies and higher storage spaces. Two such companies that currently hold the highest market shares are Apple and Samsung. Both the companies have launched the newest addition to their flagship models. Samsung with its Samsung Galaxy S6 Edge and Apple with the latest iPhone 6S Plus. The phones differ from each other in many ways. iPhone 6S Plus is the larger model of the iPhone 6S and comes with a 5.5 inch LED IPS display and a pixel density of 401 ppi. The screen is protected with ion-strengthened glass and oleophobic coating. 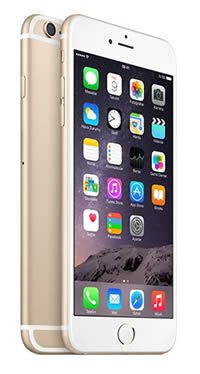 The phone resembles iPhone 6 in terms of looks with the sleek metal sides and back. The phone comes with a 12 MP rear snapper and a 5 MP front snapper, a significant upgrade from the 8 MP and the 1.2 MP cameras on the iPhone 6. Under the hood, the iPhone 6 comes with a 2 GHz dual-core process and the company’s latest A9 chipset. However, the company has yet to release the specs on the GPU paired with the processor but claims that it is 70% and 90% faster in terms of CPU and GPU, respectively. The newest feature for the 6S Plus is the Live photos option and the latest 3D Touch. The Live photos is where the camera will record a one second video before the photo is taken and another one second video after the phone. When played, it will come as a little video something similar to a GIF. The phone also has the option to record and playback 4k videos. The 3D Touch is the latest innovation that is found on the iPhone 6S and iPhone 6S Plus, which is an upgrade over the simple tap and touch found in the other phones. A new haptic system on the phones can now read the force that is put on the screen and respond accordingly. A new ‘peak and pop’ feature allows users to hold down the button for a preview or a peek into the file and holding it down for a little longer results in opening the app. If you let it go, it will allow you to go back to the app that was already open. The phone comes with a non-removable Li-Po 2915 mAh battery and a new Rose Gold color option. 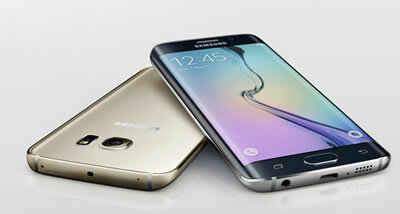 Samsung’s latest addition to its Galaxy line up is the Samsung Galaxy S6 Edge Plus. The Galaxy Edge Plus comes with one of kind with a curved display that spills over the sides for easy access and a more realistic display. The phone has a sleek glass back and front with a metal frame and both the front and back are protected by Corning Gorilla Glass 4. Galaxy S6 Edge Plus comes with a large 5.7 inch QHD Super Amoled Screen and a whopping 518 ppi density. The phones houses a 16 MP rear camera and a 5 MP front camera. Under the hood, the phone runs on the Samsung Exynos 7420 processor and comes with an octo-core processor with four cores clocked at 2.1GHz and another four at 1.5GHz. The phone also offers 4 GB RAM for multitasking but drops the 128 GB option storage, offering only 32 and 64 GB options. The phone comes with a massive 3000 mAh non-removable battery and has fast charging incorporated to the wireless charging, resulting in faster charges. In terms of applications, the Edge had offered a few new cool features. ‘Information Stream’, ‘Night Clock’, ‘Edge Lighting’ and ‘People Edge’. Information stream allows users to scroll information on the edge of the phone. Night clock works similarly but instead of information such as battery and missed calls, it shows the time. Edge Lighting is slightly different – in this the phone will light up with a specific color when it is placed down and someone is calling. The user will have to assign a color to the caller, and when the caller calls the phone edge will light up with that particular color. However, for this to work the phone must be placed face down on a surface. People’s Edge is a swiping feature that allows users to pull in their Favorites or most called people by swiping from the top right side. In the Edge+, in addition to those features, an additional function has been added, known as ‘Apps Edge’. This works similar to the People Edge, but instead of favorite contacts, it shows five favorite applications when swiped on the shortcut tab. Also the shortcut tab is no longer limited to the home screen (where the person could only swipe on the lock screen or home screen) — it can now be set up so that it shows up no matter where one swipes in the software.